As a sales person, you are under a lot of pressure to close, close, close. To be good in sales, you have to know how to connect and relate with the person you are selling to. Between all the leads you have to manage, the customers you need to keep in touch with, and all of the other reporting and sales related tasks, there are a ton of moving parts. Thankfully, CRM is here to save the day. Here are 5 sales tools that will make your lives easier. This is a very basic workflow, but you see how it keeps the salesperson on track with their follow ups. Workflows ensure a consistent process with each lead, and makes sure that no leads slip through the cracks. If a lead was perusing your website, wouldn't you like to know? The ability to see what your leads are interested in on your website, as well as when they are on your site gives you a ton of very valuable information. Knowing which pages your leads are looking at gives you an idea of what’s important to them so you can better focus your sales pitch. Use real-time website notifications to alert you when your leads are hot to trot. This way you have the opportunity to follow up with them while your product/service is fresh in their mind. A good sales person is organized and detailed. Opportunity tracking lets you track each stage of the sales process from lead and prospect to deal won or lost. Opportunity tracking is typically used for larger deals with a longer sales cycle, but if your process is well-suited for this type of sales tool, then use it. Opportunity tracking keeps you highly organized and engaged with each and every one of your deals. Most CRM systems should have the ability to send trackable emails right from the contact record. This not only saves time and makes you more productive, but you can also view if your contact read or clicked on your email. The email is automatically saved in the CRM, and the activity recorded. Easy, right? This is kind of like the send personal email, but with a phone call. Automatically track your calls to your leads using a click-to-call feature. If you have a follow up call as part of a workflow, you can easily make the call and record that activity. Just another time saving, productivity tool. As sales executives, efficiency, organization and detail are all key components of a successful deal. A CRM should come with all of this functionality to make your lives and your jobs easier. 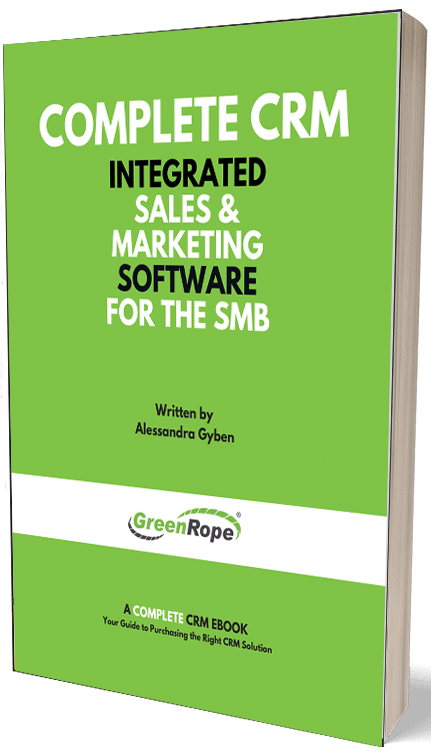 Do you have other sales tools that help your productivity and sales strategy? Let us know!